It is with sorrow and humble acceptance of God’s will that we announce the passing on of our son David Wainaina Kamunge, through a tragic road accident. Son of Stephen Kamunge and Lucy Wanjiru Kamunge. 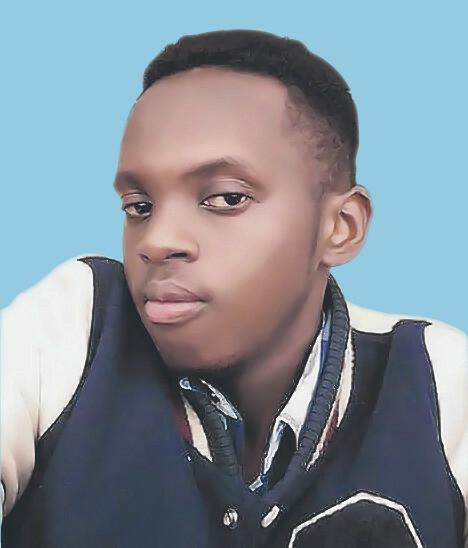 Brother of Marsden Komu, Graffin Kimani, Ivan Ndungu, Shanique Njoki and Eunice Koki Kamunge. Grandson of Rachel Njoki Wakanyoni David Wainaina Kahwai of Embakasi and Eunice Wangui of Kahunira. Cousin of the late David Wainaina, All Wainainas, All Njokis, Mwaura, Alex, Waithera Elvis, Reginald, Esther, Paul Komu, Kennedy, Stacy, Eric among others. Nephew of Grace, Njenga, Emily, Njambi, Wambui, Ndungu, Nancy, Kamau, Mwangi, Sophie, Mercy,Rahab, Waithera, Doris, Gikonyo, Paul Komu, Jane Wamaitha, Esther Wamaitha, Mercy, Simon and Kanyoni. Funeral arrangement are being held daily at his dad’s residence at Ridgeways country home. The cortege leaves Umash funeral home on Friday 27 of April 2018 at 7.00 am. Thereafter Burial at his dad’s home ni Githirioni Kwa Iregi Lari, Kiambu county. Loved ones never depart they rest in God’s Hand and in our hearts forever.